There are two lip products that I’ve been obsessed with recently and I can’t bare to take all the credit for the discovery. No, the credit for these two gorgeous lip products must go to the wonderful Essie Button and Vivianna Does Makeup. 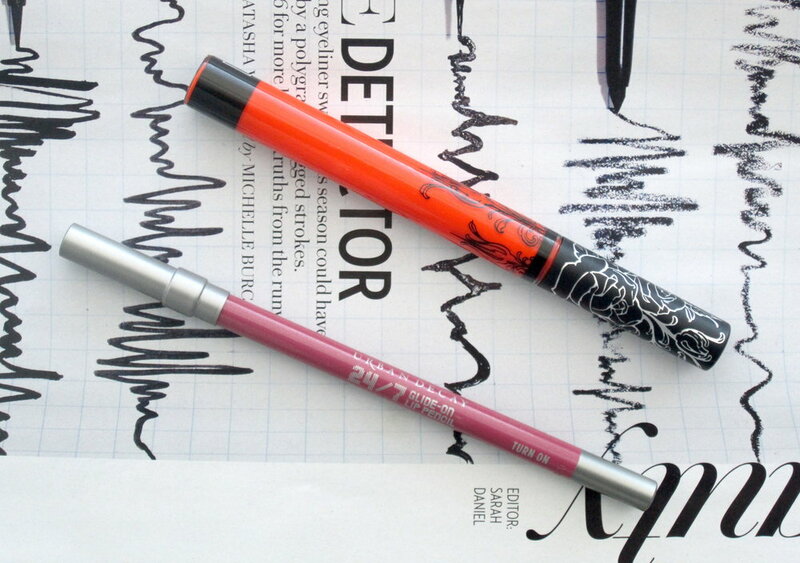 Urban Decay 24/7 Glide-On Lip Pencil in Turn On ($24): If you haven’t checked out Essie Button’s blog and YouTube channel yet, do so immediately. She recommended this lip pencil in an autumn lip look post and I bought it straight away. It did get slightly neglected when I initially bought it but now it’s regularly in my daily makeup routine. 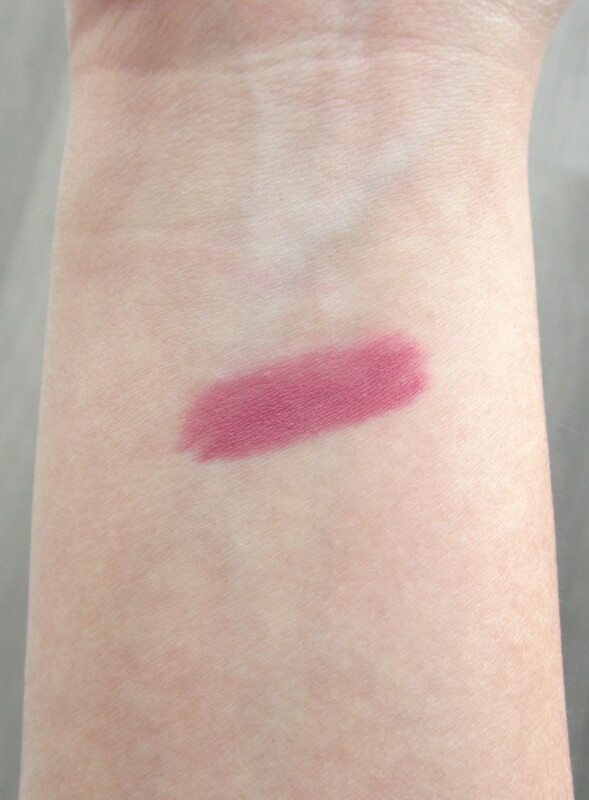 This is a dusty rose/pink that is incredibly unique in colour. I was concerned about using a lip pencil all over my lips for dryness reasons but it’s actually quite comfortable to wear. As per Essie’s recommendation, I apply a bit of the Clarins Instant Light Natural Lip Perfector in shade 01 (a very light rose/pink) over top of the lip pencil for a bit more dimension and shine. Definitely a winning lip combination, thanks Essie! Kat Von D Everlasting Liquid Lipstick in A-Go-Go ($24): I’ve said it before and I’ll say it again, Anna from Vivianna Does Makeup is absolutely amazing and hands down, has the best recommendations on her blog and YouTube channel. The second I saw her sporting this brilliant colour on my computer screen, I had to have it. 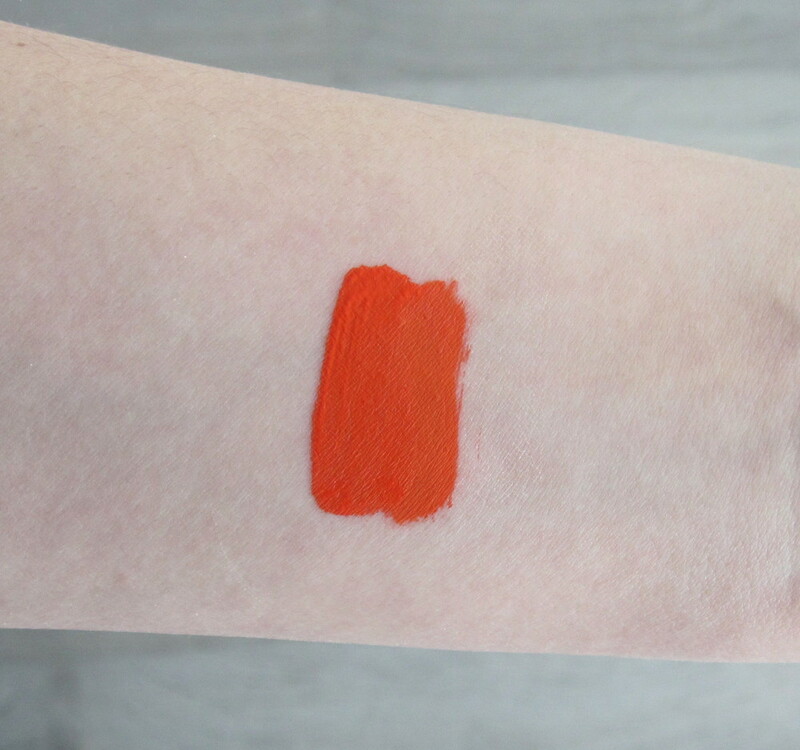 If I’m honest, this is quite a controversial colour because it’s orange - I know the official description of the colour is “bright orange-red” but it is all orange with very little red involved (especially when it's on the lips). Personally, I absolutely love the colour but a few of my friends (the boyfriend included) gave me a bit of a sideways look when I wore it out. Regardless, I love it; I think it’s still wearable and shockingly flattering. The formula is great as well; super long lasting but not too drying. Anna definitely found a gem. Those are some of my beauty blogger recommended loves, what are some of your fav beauty blogger recommendations?